PODCAST 96 IN THE MIX! Hey, check out this podcast! 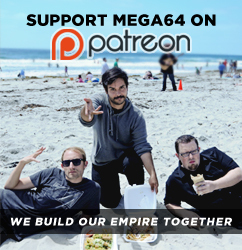 We talk about the intense filming we have been doing for Mega64: Version 3, Cast Away, and toes. Plus our friend Leroy from No Mercy Video joins us! Audio people click here! That's it for now. I should say that we have a exciting announcement coming in the next few days! Check back soon!